Home / Womens Health / The Ultimate Guide to Pelvic Pain Recovery – launching today! May is Pelvic Pain awareness month. It can’t be a coincidence that it’s also mental health awareness week because, as anyone who’s suffered from pelvic pain will know, it is debilitating – both physically and psychologically. 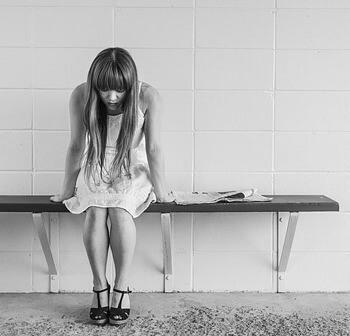 A shocking 55% of those suffering from chronic pelvic pain will subsequently develop depression and given that one in three people will have pelvic pain at some point in their lives – that’s a lot of mental anguish and the psychological impact is huge. I am thrilled to be releasing our new online course, “The Ultimate Guide to Pelvic Pain Recovery ” working again with leading expert in somatic experiencing practitioner Bevis Nathan to provide a holistic approach to pelvic pain management and alleviation. The bottom line is that sadly Pelvic Pain is still often misdiagnosed and mistreated. Bevis and I want to help shed light on this issue and raise awareness of the often simple exercises that can help improve wellbeing and decrease the symptoms of pelvic pain. It is a complex area, but pelvic pain is most commonly the result of a previous trauma, a fall or surgery, although it can also be triggered or referred from another area of the body. Our course combines breathing exercises, stretching and calming down of the autonomic nervous system. This course can be used by people suffering from pelvic pain but also by practitioners who want to give patients a simple but effective course to use at home either alongside physio treatments or while waiting to see a practitioner. I now ask my patients to complete this course in addition to appointments – and it really helps! Buy The Ultimate Guide to Pelvic Pain Recovery here. Buy a ticket to attend our hugely popular PF3 Course 12-14 May with Holly Herman– discussing the latest developments in pelvic health and recovery from pelvic pain. Or our Pelvic Health evening seminar on 11 May – with Bevis, Dr Peter Greenhouse and myself.